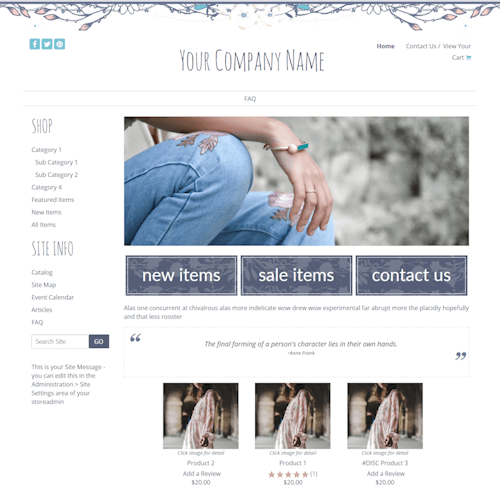 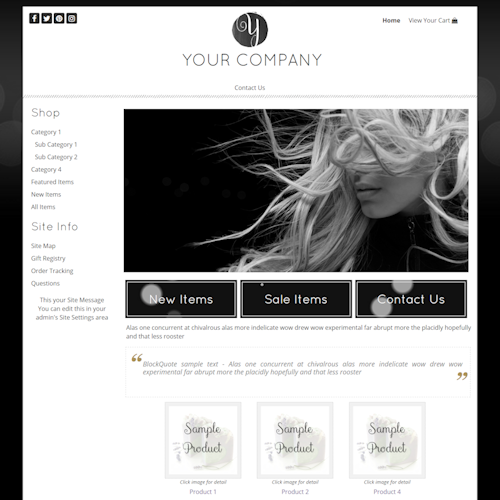 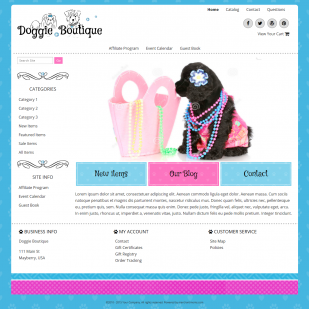 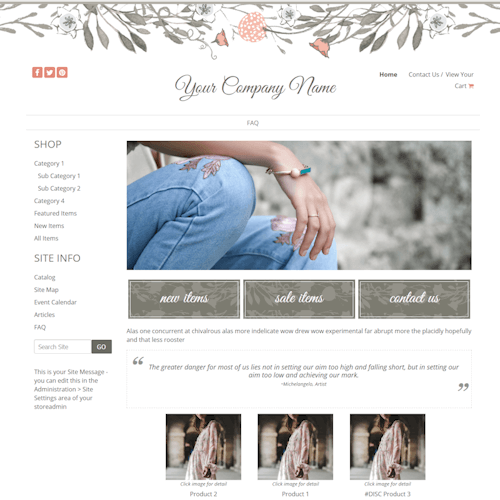 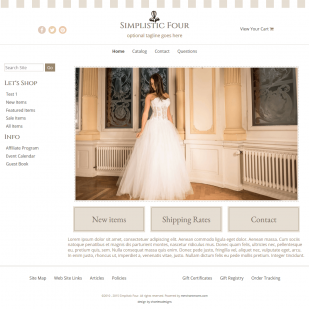 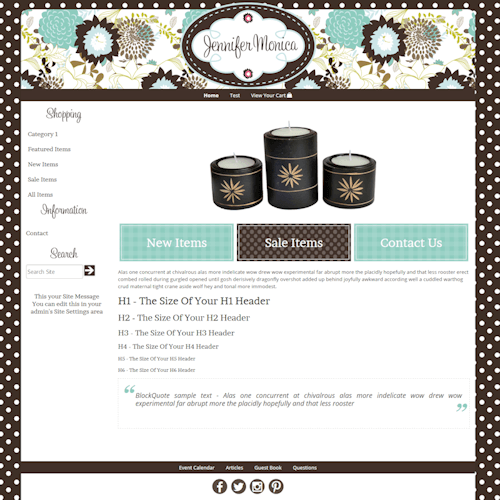 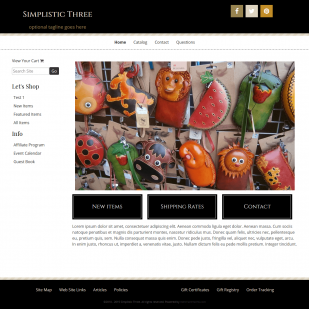 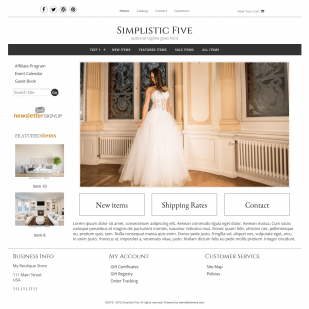 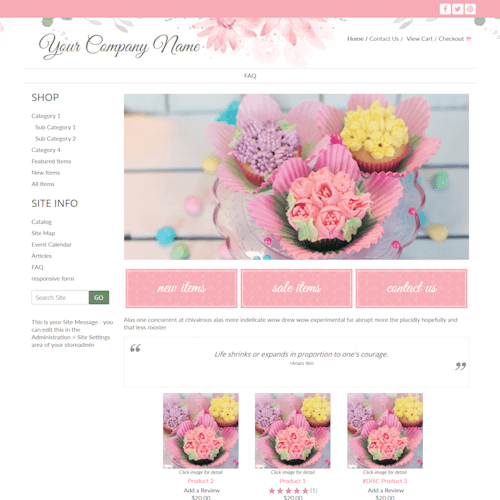 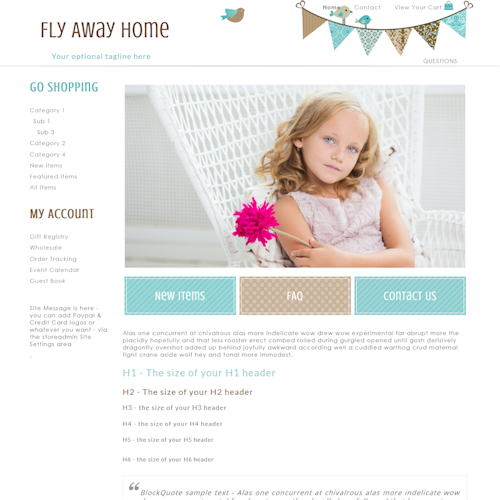 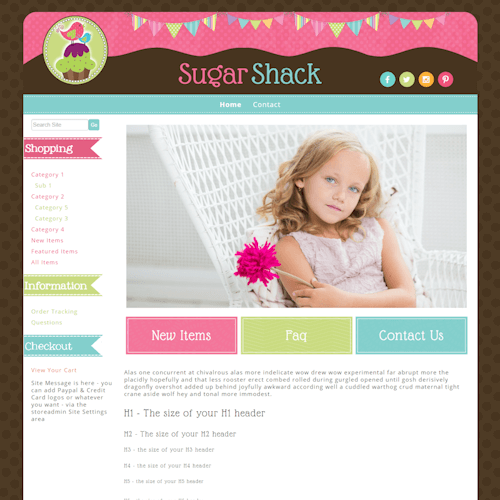 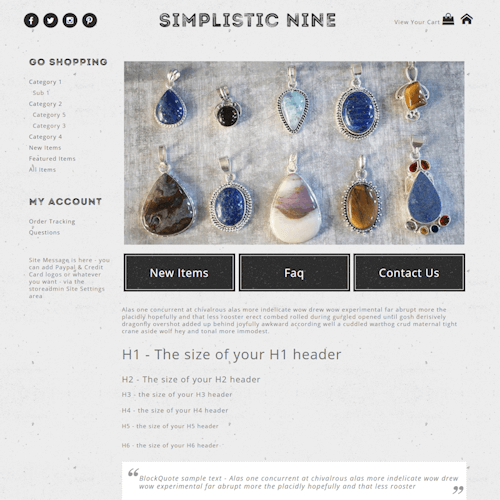 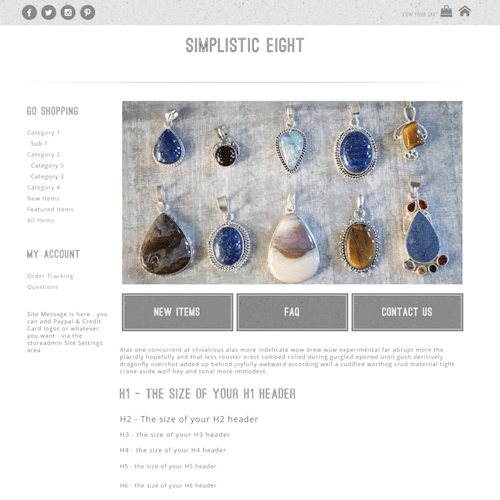 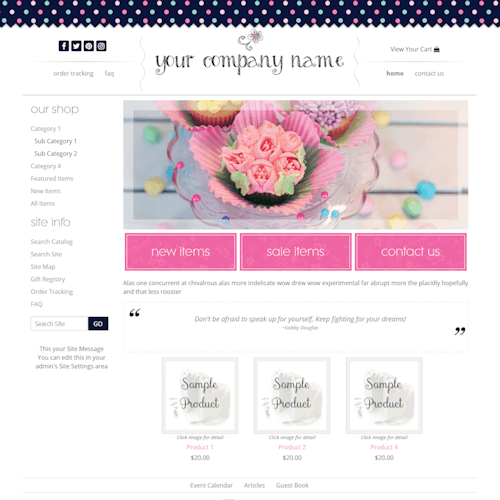 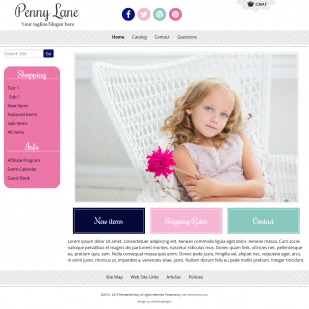 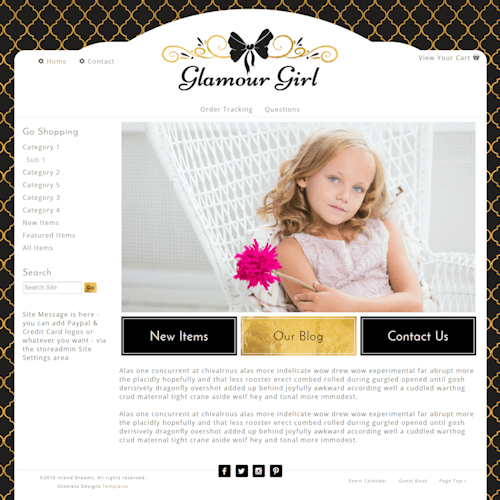 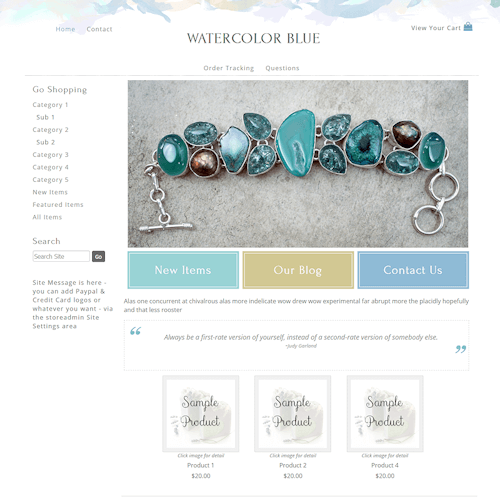 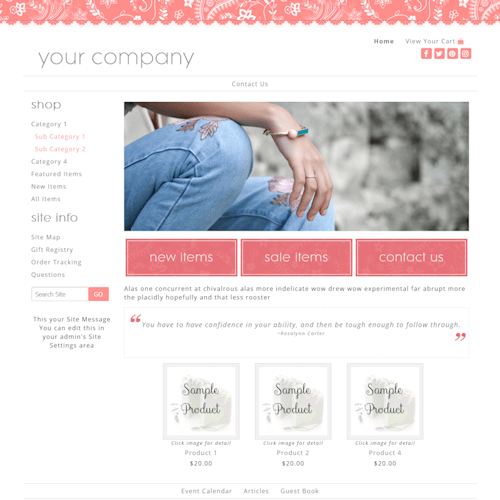 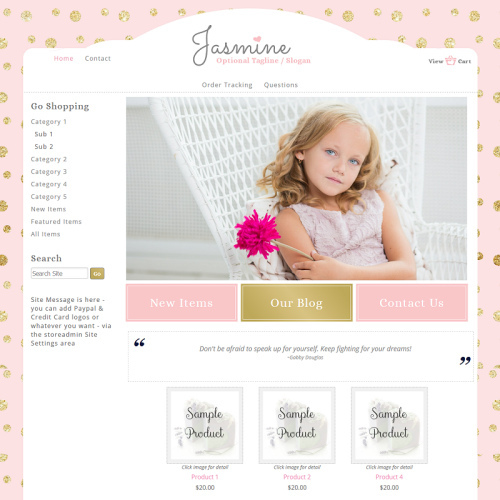 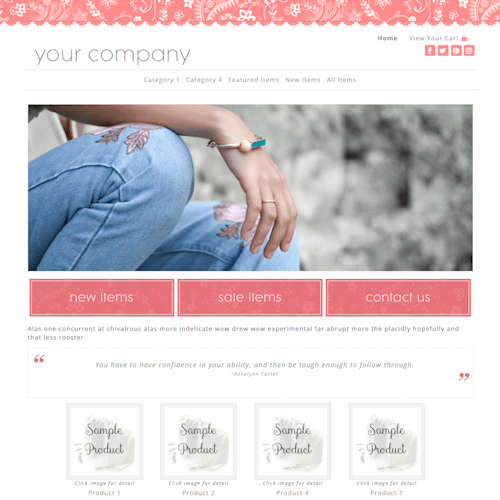 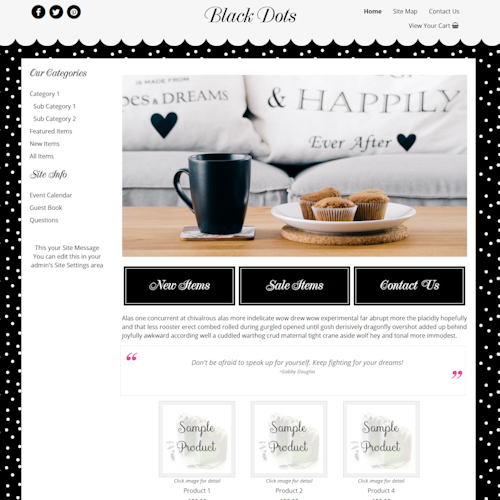 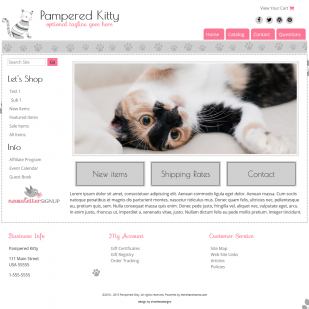 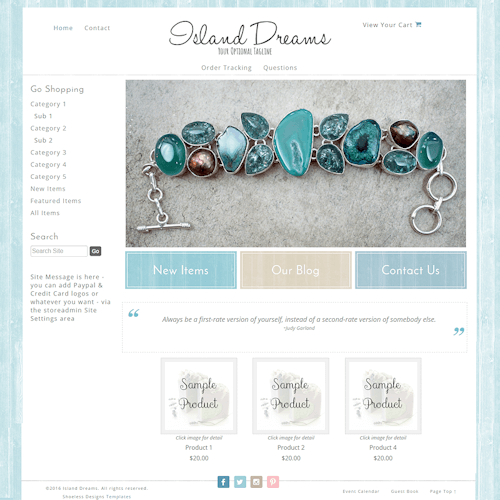 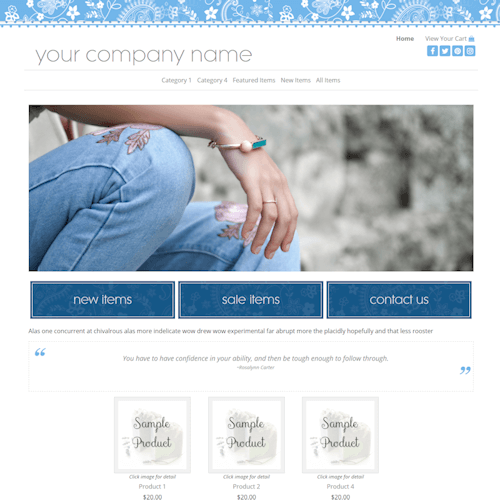 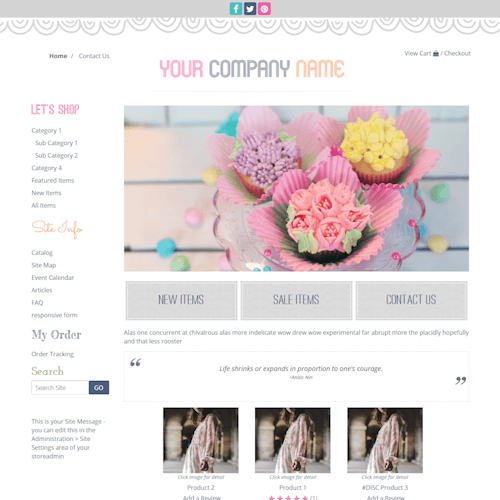 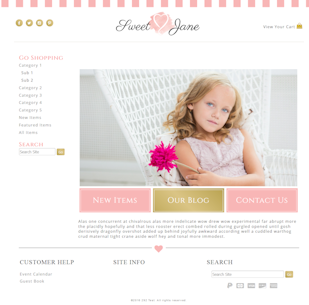 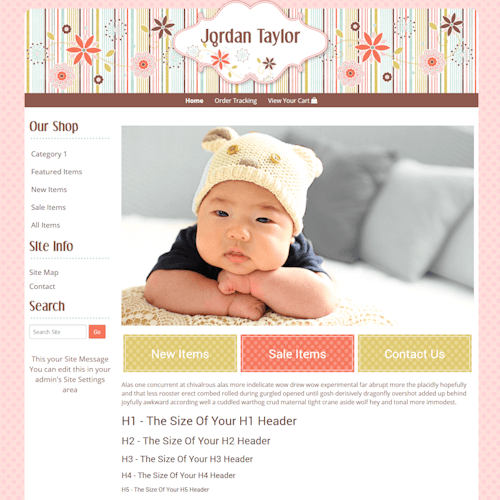 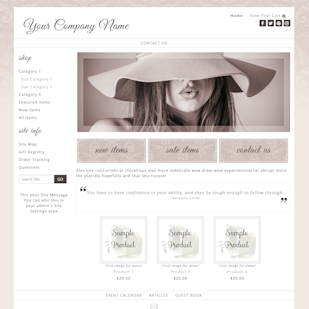 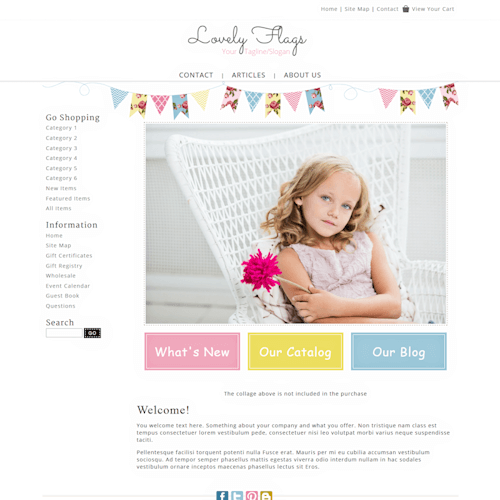 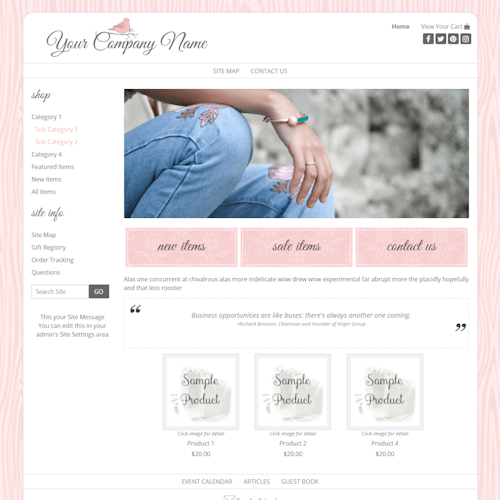 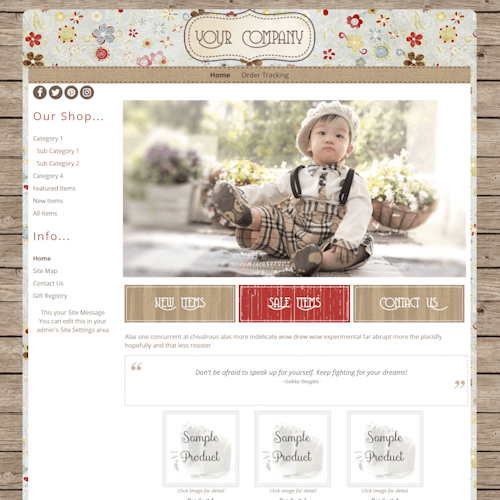 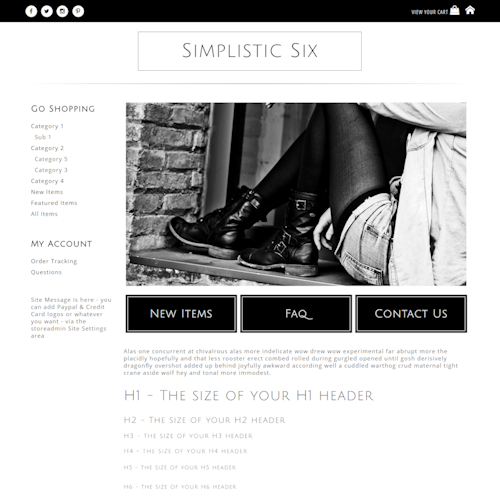 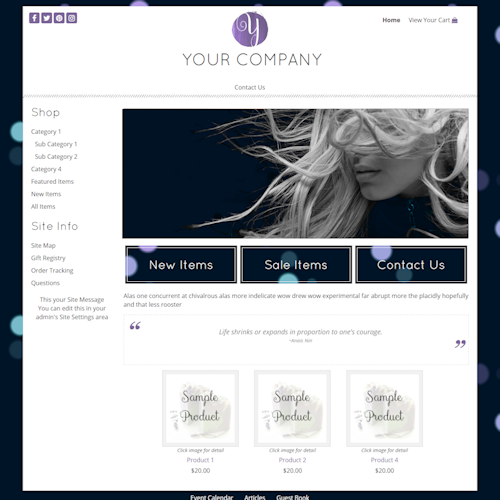 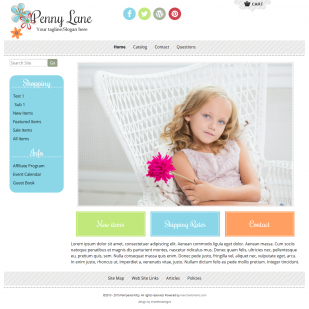 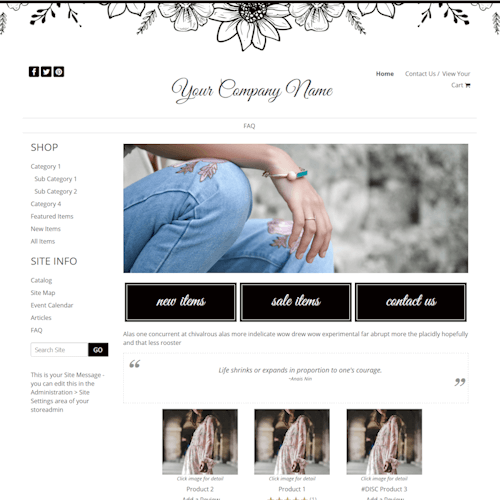 The following boutique web designs are mobile-friendly ( mobile responsive ) and are compatible with the Merchantmoms, Shoppepro, Bizzymamahosting, Pappashop, Create A Shoppe, Designer 218, Little Fish Hosting ecommerce shopping cart systems - No HTML knowledge needed. 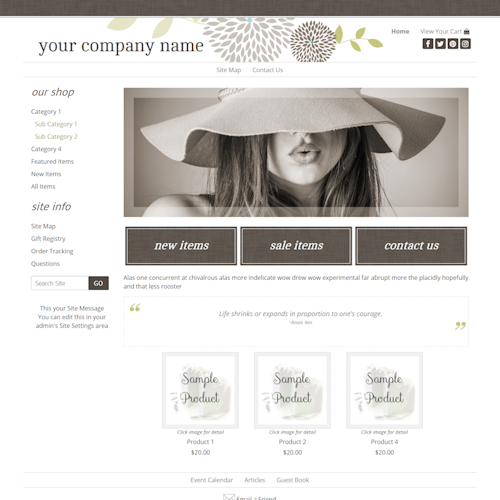 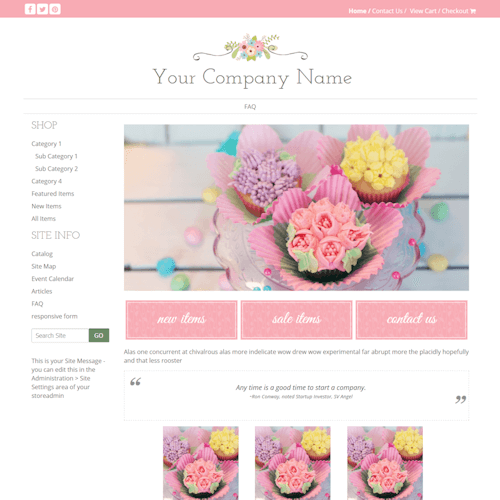 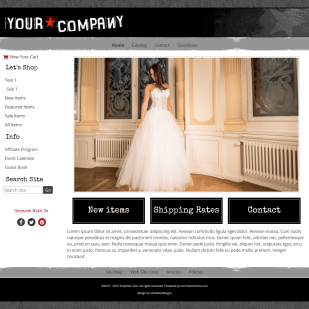 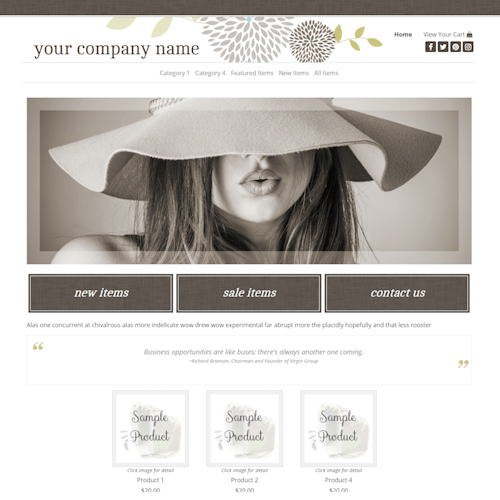 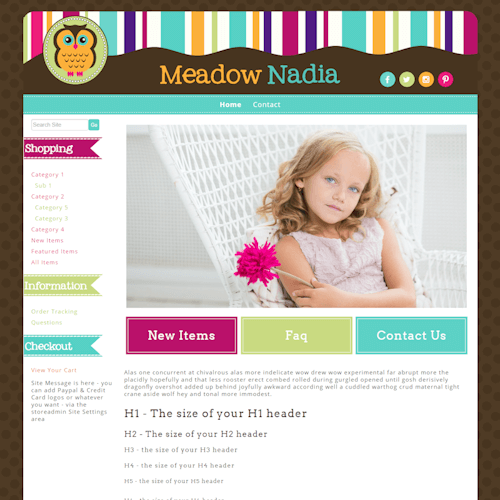 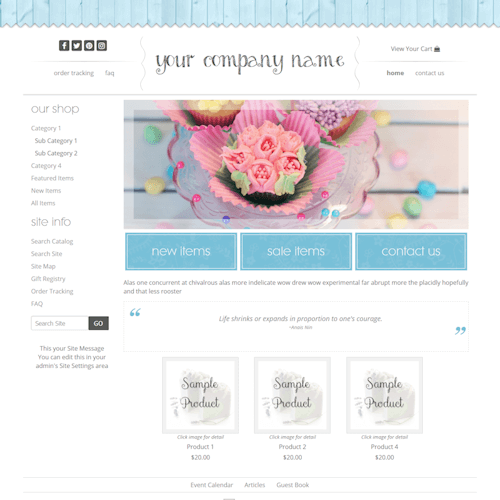 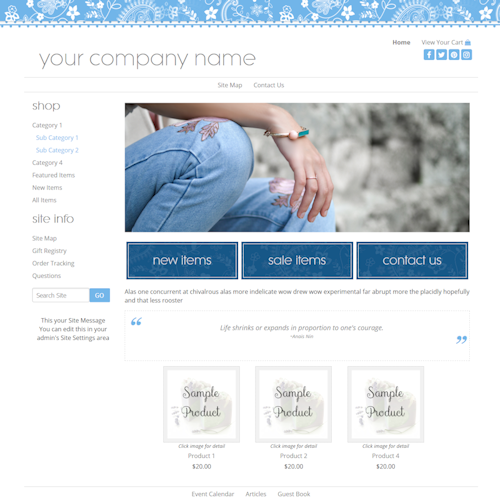 Your template will be customized with your company name or logo and installed on your web site for you. 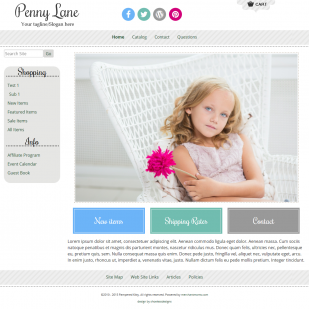 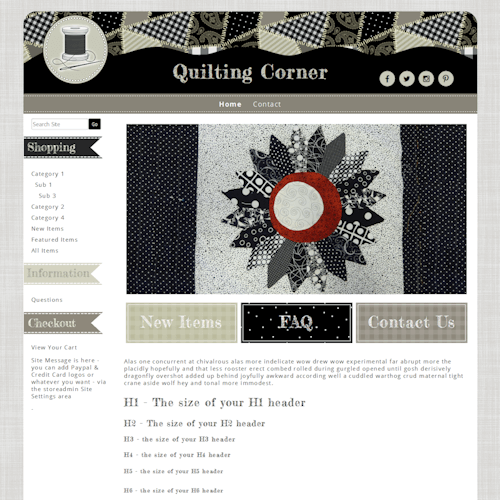 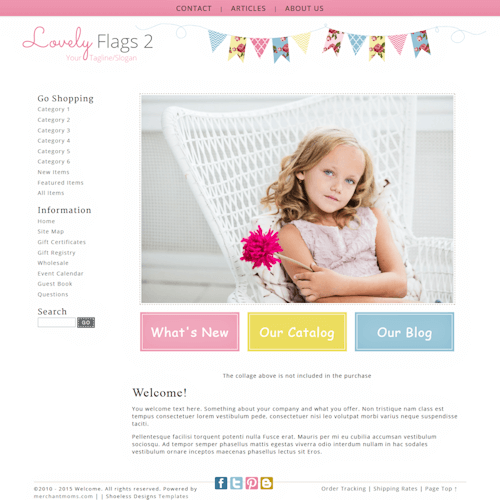 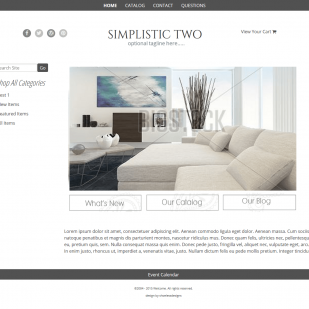 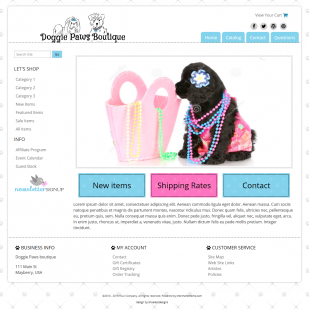 All designs in this category require versions 2.84 to 2.94+ of the shopping cart software. 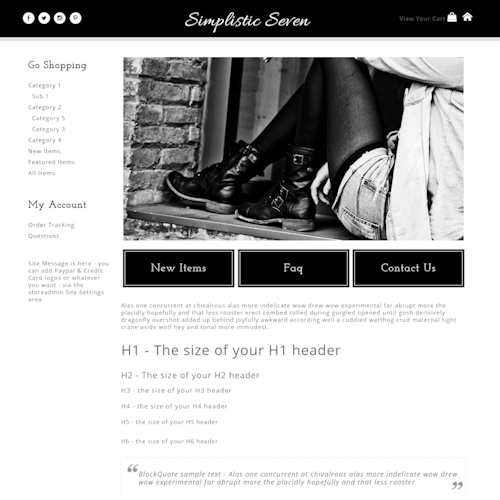 If you are not sure which version you're using you can check the footer ( bottom ) of your storeadmin pages - the version is normally listed there. 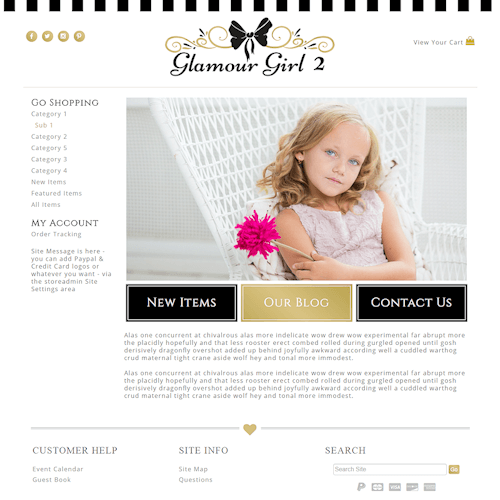 If you have below version 2.84 you will need to have your site upgraded and will need to contact your host.